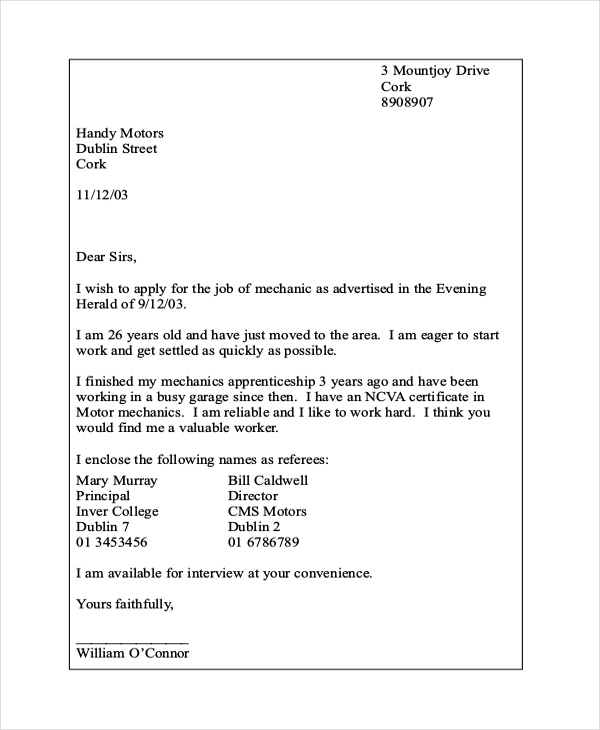 A Letter of application is really important when you are about to apply for a job vacancy or an internship. It’s generally sent with your resume and is also known as a cover letter at times. However, these letters are not only sent while applying for jobs – you can send it for any formal application like visa application, scholarship application and so on. In case you need help in framing professional letter of application, there are readymade Sample Letters online, designed specifically for these letters. You have a neat letter of the application here for a suitable job vacancy you have just noted. The letter allows you to highlight your expertise and strong points in legible bullets. This application letter starts with your express of interest in the job vacancy and goes on to describing your educational qualification and internship experience which can help you in proving your potency for the job. 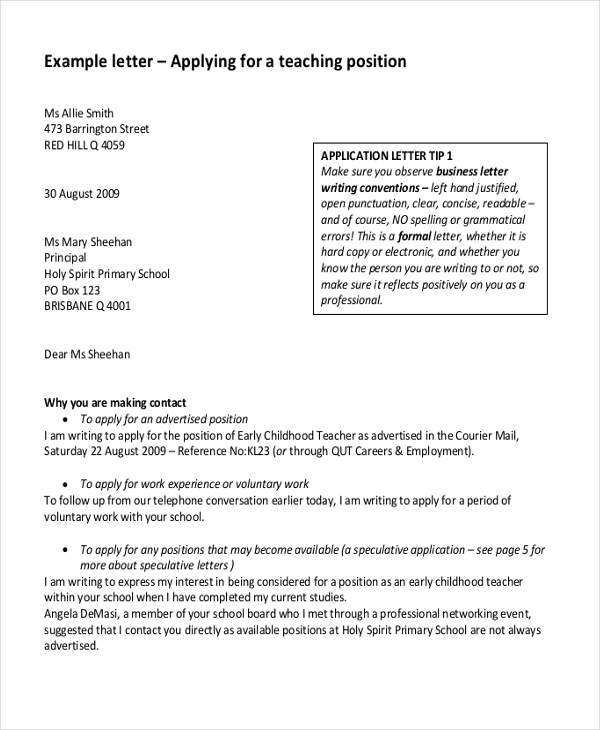 This letter of application would be good when you are looking to apply for a post of teacher in regards to a suitable vacancy. 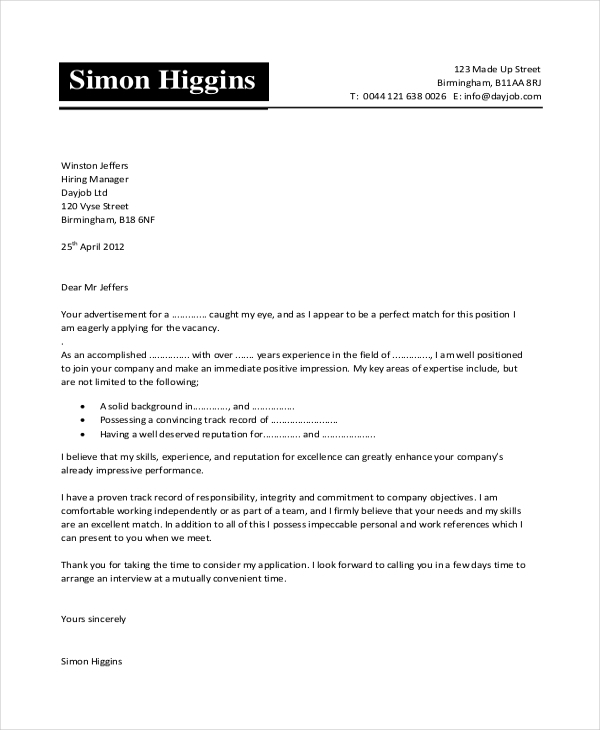 The letter shows how to talk about your educational background, experience and your positive attitude towards the job. 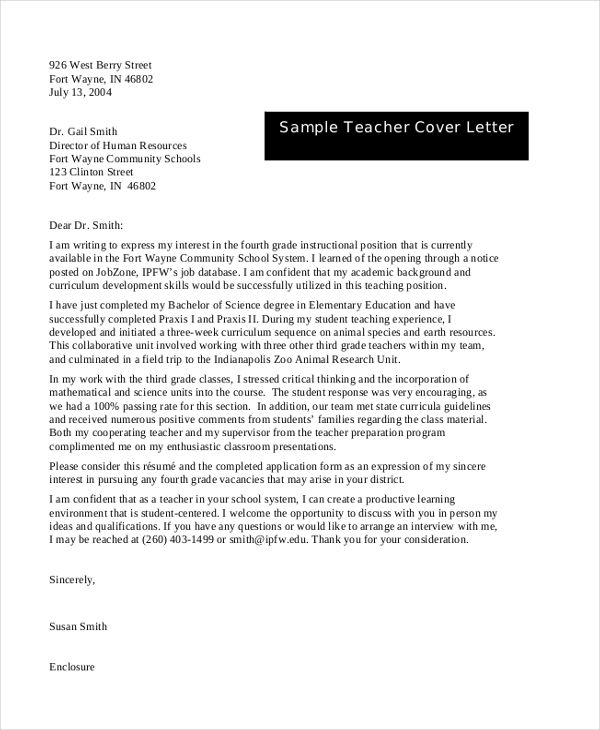 When you are looking for a guide on the letter of application, this template would be handy with its expert tips on writing such a letter, followed by a ready sample of the letter. 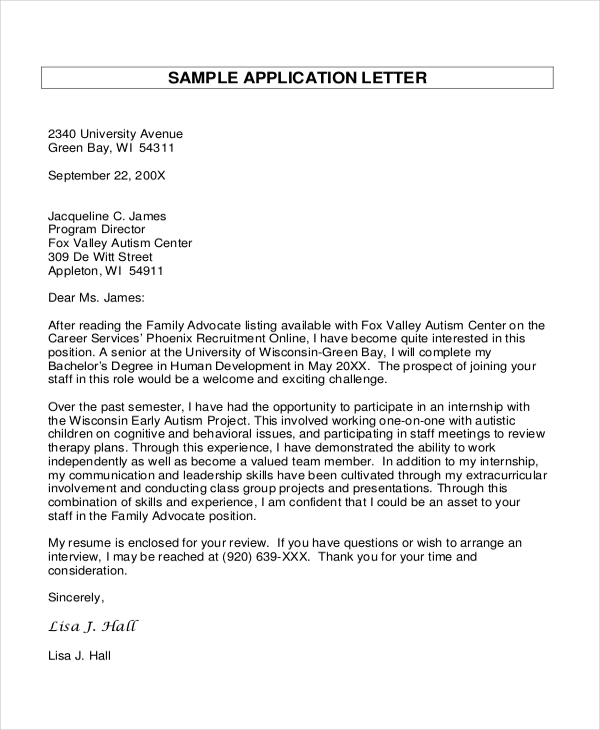 This template here has everything you need to know about framing a letter of application and the great part is that the tips are followed by a professional letter of application sample to ensure better understanding for you. 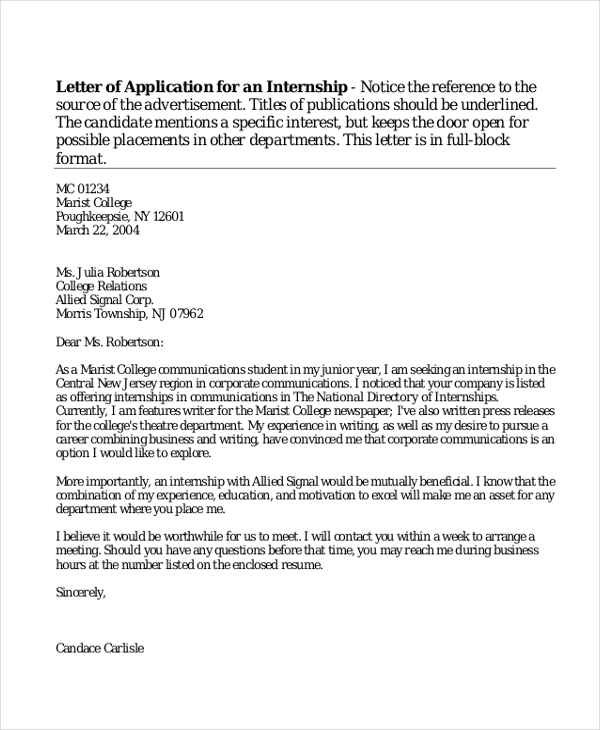 This is an excellent example when you are planning to send an application for an internship in a college and the letter shows how to mention that you are open for other possible placements in other departments. If you are looking for a help that is how to draft a visa application letter for an employee who would be on business tour abroad on behalf of your firm, this sample would be handy for you. 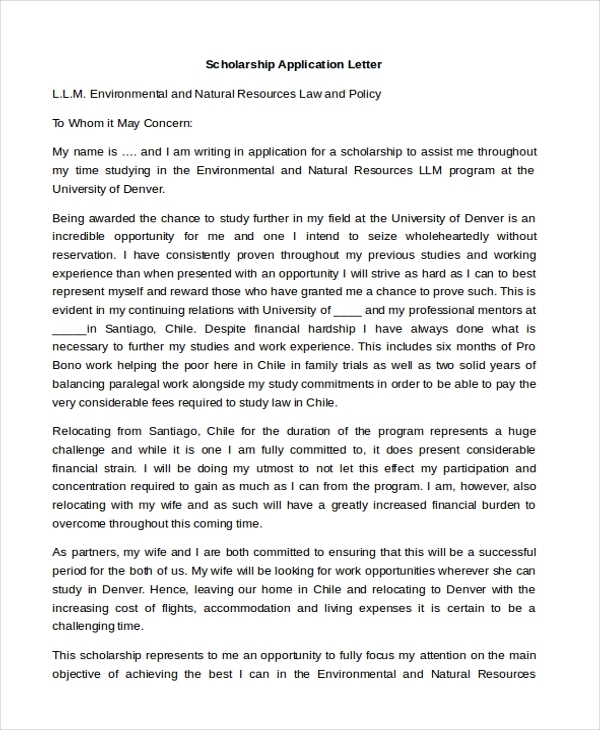 The scholarship application letter here shows you how effectively request for a scholarship for higher education, stating the exorbitant expenses that you have to meet and also how the scholarship would be of great help for you. Who Needs Letter of Application? A letter of application is needed on various occasions. However, primarily you will need it while applying for a job. If you spot a vacancy, you can send your resume to that company with a cover letter attached to it. Then, people who are aspiring to apply for prospective internship positions would also need to send a letter of application to the college or company offering the internship opportunity. Besides, you would require a letter of the application while applying for a scholarship for higher studies especially when you are heading for a foreign university. People who are applying for a visa would be required to send visa application letter. You can also see Reference Letter Sample. 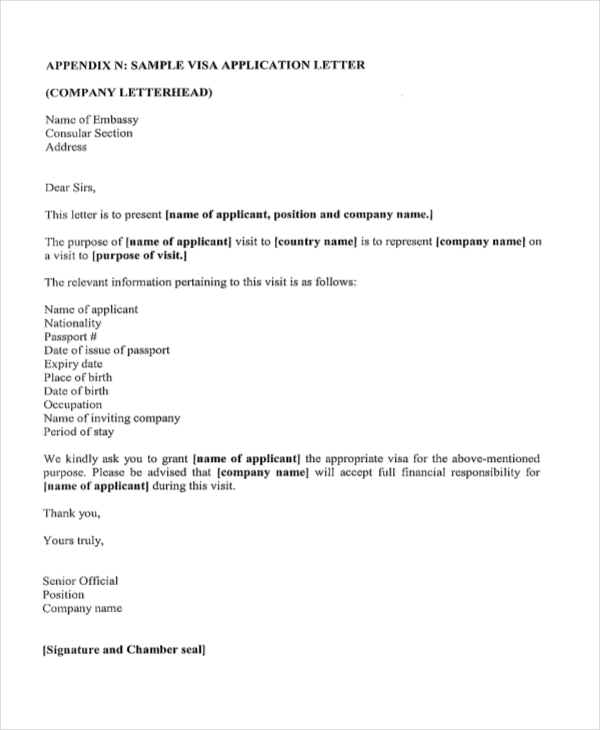 What is The Purpose of Letter of Application? Formatting official letters, be it resignation letters or cover letters, is a hard task any day. But you don’t have to worry now as these days you would be getting pre-designed templates for each kind of official letter such as the ones mentioned above for letter of application. All of them are easily customizable.